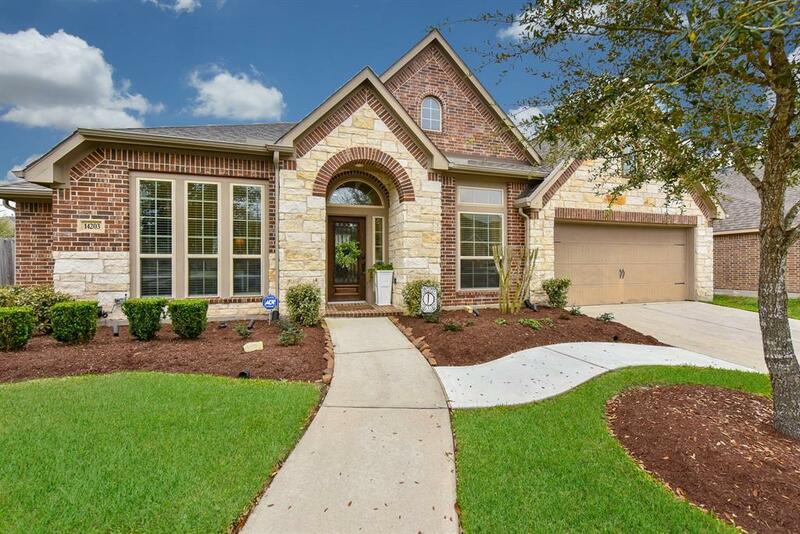 This immaculate Perry single story has it all! 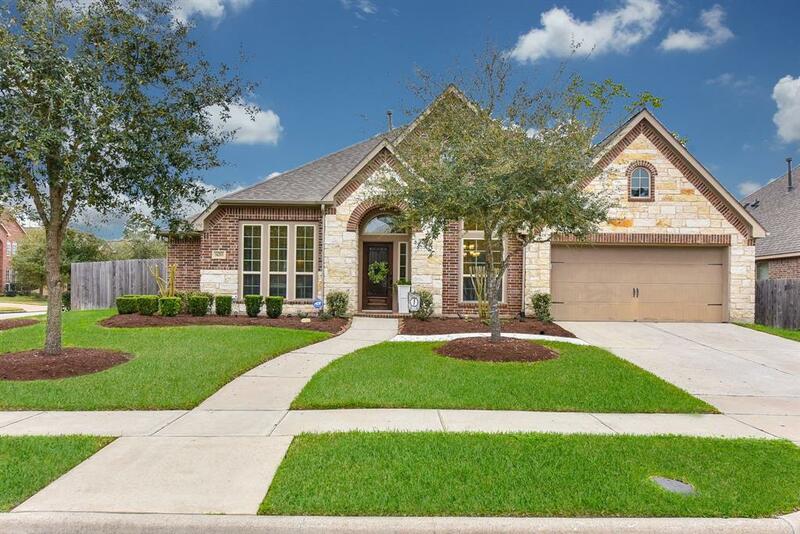 Super meticulously maintained home with no carpet - just tile and hardwoods throughout. 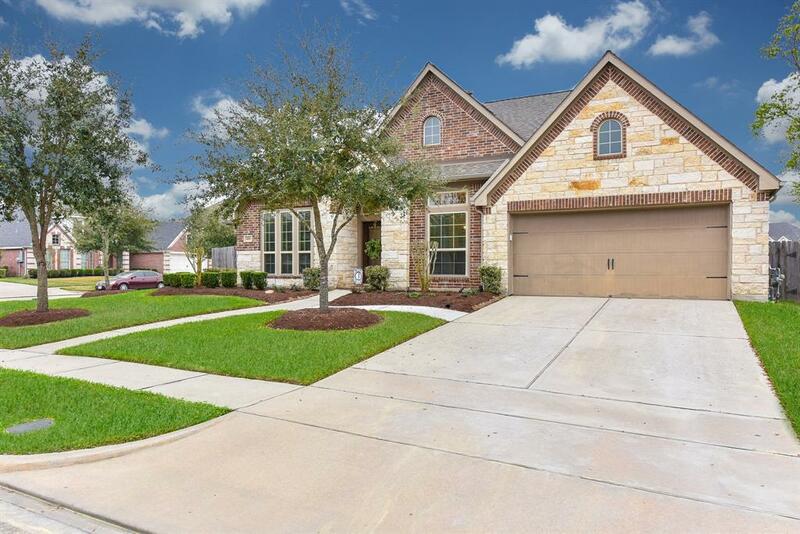 High ceilings, open concept living area opening to huge island kitchen featuring wrap around breakfast bar, granite counters, tons of cabinet and counter space, and stainless appliances. Large breakfast area and game room with French doors. Formal dining room and study with French doors flanking the entry hall. Split plan features single BR near front of home with en suite bath and walk in closet plus two secondary BRs off of living area with a shared bathroom. Private master suite features sitting area and luxurious en suite bathroom complete with granite counters, large soaking tub and separate shower plus his/hers separate walk in closets. 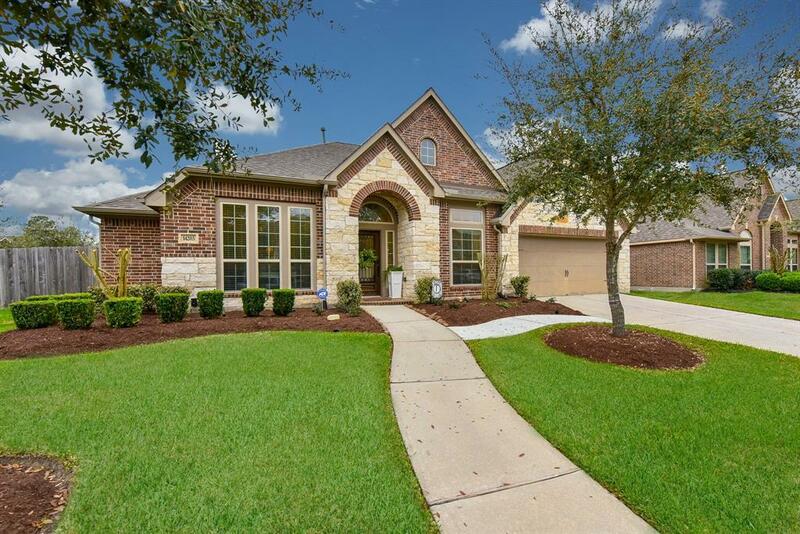 Oversized covered back porch and recently upgraded landscaping front and back with automatic sprinkler system. Three car tandem garage with storage shelving. Outstanding community amenities and schools! !